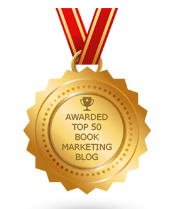 BookMarketingBuzzBlog: Book Marketing Buzz Blog Posts #3,000! New York, New York -- Where should writers and publishers turn for strong, honest, and experienced-based advice about book marketing? One may not have to look much further than the award-winning blog, www.BookMarketingBuzzBlog.blogspot.com, recognized by Book Baby and Feedster as a top book publicity blog. What began seven-and-a-half years ago as a means for a book marketer, Brian Feinblum, to brand himself, has turned into an important source of inspiration and information. Today it published its 3,000th post. "I originally wanted the blog to serve as a lead generator to the book publicity firm where I still work --as the chief marketing officer (www.Media-Connect.com) -- and to show my support for the plight of those in the book publishing industry, including authors, publishers, editors, and literary agents,” says the blog’s founder, Brian Feinblum. He is proud to have hit such a milestone, and is glad he persevered during times of feeling like he should just give it up. His very first blog post, in May, 2011, was about Donald Trump, back then a businessman and star of television’s The Apprentice. “I thought then, as I do now, that he’s a master of deflection, deception, and denial,” says Feinblum. “But book marketers and authors can learn a lot from his style and approach." He also likes to advocate for books, and often pens posts on censorship, book bans, free speech, literacy, visiting libraries, patronizing indie book stores, how Barnes & Noble can stay afloat, and why books matter to society and each of us. So where does he draw his ideas from? He also draws from his many interactions and experiences with those in the book world, especially the authors and publishers that he has met during three decades of a vibrant publishing career. He’s spent nearly the last 20 years at www.Media-Connect.com, and also has worked for several small presses, authored a book, and has contributed articles to various publications that serve writers. His insights also come form the many talented authors whose books he has promoted over the years, a list that includes Henry Winkler, Jeff Foxworthy, Dr. Ruth, Ken Blanchard, Seth Godin, Kevin Leman, George Wallace, Harvey Mackay, Cindy Adams, Jackie Collins, and Stephen Covey. It also includes many first-time authors, self-published authors, and a handful of university press writers. Feinblum estimates his seven-and-a-half-years of blog posts could easily add up to 1,200,000 words, based on an average 400-word blog post. That’s roughly 20 books at 60,000 words each. So what advice does he have for those seeking to be mentioned, featured, or interviewed for his blog? “I enjoy writing on books about books – all books that talk about writing, writers, publishing, language, bookstores, literacy, free speech – and I have interviewed hundreds of authors from all genres and welcome authors to email me to arrange for an interview," says Feinblum. "I also like to shine a light on book industry organizations such as The Authors Guild, ABA, BISG, ALA, AAP, AAUP, PEN, IBPA, National Book Foundation, etc." From books of poetry, children's books, compilation books of essays and gift books, to books on business, health, parenting, politics, lifestyle, memoir, self-help, inspirational and religion, he has promoted well over a thousand authors over the years, representing every possible book imaginable. His blog certainly reflects a wide variety of experiences and interests. For more information about www.BookMarketingBuzzBlog.blogspot.com, please consult Brian Feinblum, 914-462-2038, brianfeinblum@gmail.com. Wow!! This article about your extensive experience, Brian, is most enlightening!! Not knowing any of your BACKGROUND, we just met last week in New York, when I decided to hire Media Connect, based upon our meeting and your warmth and knowledge expressed that day. Now, more than ever, I KNOW I am in very good hands!! 😊 Feeling Happy!! Congratulations! Consistency and quality are the hardest things to maintain with Blogs and you are killing it!